Cost to have tile roof installed varies greatly by region (and even by zip code). Get free estimates from roofers in your city. Cost to have tile roof installed varies greatly by region (and even by zip code). The average cost of installing tile roofing is $20,000 - $35,000​. How much does it cost to have tile roof installed? Tile roofing refers to any type of hard roofing made up of individual tiles, rather than shingles 1, which are made of flexible asphalt 2 covered in granules. These tiles were traditionally made of clay, but can now be found in other materials as well, such as concrete and metal. Tile roofs are also long lasting, durable, and are resistant to hail damage and moisture as well as flame. Tile roofs are frequently installed on certain architectural styles, including Southwestern, and are also beneficial in very dry climates where fires are a concern. They’re also energy efficient and can last upwards of 50 years, giving them the lowest cost per life cycle of any roofing material currently on the market. Tile roofs are heavy, however, and may require substantial rebuilding of a roof deck before installation. Tile roofs cost between $120 and $250 a square (100 square feet) for material; for a 1,500 square foot roof, you will need 15 squares. Concrete tiles costing the least and clay tiles cost the most, while composite and stone-covered metal cost less. Many roofs switching to tile can expect to pay between $1,000 and $10,000 just in roof reinforcement alone, with an added $7,000 to $10,000 in labor fees.The average homeowner with a 1,500 sq.ft. roof can expect to pay around $20,000 for a new tile roof. While lighter weight asphalt 2 shingles 1 can be installed on nearly any type of roof, tile can only be installed in very specific circumstances. The first relates to the pitch of the roof or the rate at which the roof rises from its lowest point to its highest. Tile roofs can only be installed on roofs with a pitch between 4 and 12; any lower and the roof will not drain sufficiently, and any higher and the roof will be too steep to accommodate the heavier tile. Tile roofs also need a reinforced roof deck. For some newer homes, this is less of a problem, but older homes that may have a roof deck that has already been in place for years, and that may be sagging or have experienced some degree of wood rot will need to be completely replaced before a tile roof can be installed. A building inspector should be engaged before construction begins to determine if the current roof can handle the weight, and if necessary, what type of bracing may be required. Because the tile roof can last so long, everything that is used in its construction also needs to last. A waterproof underlayment 3, and very high-quality plywood 4, nails, and flashing 5 must all be used. This can contribute to the final cost of the roof. Any protrusions in the roof should also be considered; chimneys, skylights, and vents all require watertight flashing 5. A synthetic, waterproof felt is usually recommended for these heavier, longer lasting roofs, but it’s usually accepted that the manufacturer of the roofing tile in question will recommend a specific brand and weight of felt; this is what the roofing contractor will likely pair with the tile. In addition to inspection, the current roofing material must be removed. While it is possible to layer asphalt shingles at least once, you cannot layer tile shingles 1 over an existing material; it must come off. By removing the old material, you expose the roof deck. This lets the roofer see more clearly how well the deck can hold the new material structurally, and if the roof deck will require repair, replacement, or additional material to hold the new tile. While roofs may require work in all climates, tile roofs are more time consuming and difficult to install than a shingle roof. Therefore, it’s generally accepted that the work should be done during warm, dry weather. The most common time of year to have work done on a roof is late summer through the fall, before the heavy rains and snows of the coming winter. Because the roof deck will be exposed for at least a few hours before installation can begin, a low-wind, dry day is necessary for the roof tile to be installed. Tile roofs work well in nearly all weather conditions once installed, but they tend to be favored in hot climates where sealing is less crucial due to the freeze/thaw cycles of the north. This is not a problem for metal or composite tiles, though, which do not require sealing and which can be installed anywhere. Not all tile roofs are the same. The material that makes up your roof could impact your final cost, reinforcements of the roof, and installation procedure as well as its final style. The most common type of tile roof is the Spanish-tile, which is the curved clay tile most commonly seen in southern states. This isn’t the only style that a tile roof can be found in, however, with more concrete and clay tile manufacturers coming up with a wide range of designs to choose from. The costs of the tile aren’t overly impacted by the style; in most cases, there is only a negligible difference in cost between styles; it’s the material that the tile is made of that drives most of the price point. 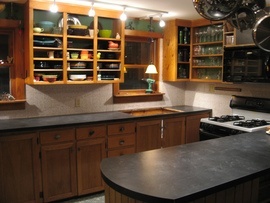 Mission: large, curved tile that can also be used to create a ridge. Interlocking: shingled tile appearance more similar to slate 6 that other clay tiles. Spanish - Classic: “S” shaped tile, most commonly seen in homes in the south. Scandinavian : scalloped shaped tile that curves down rather than up. French: unique, ridged design with a closely repeating pattern. Riviera: semi-flat, ridged tile with a very intricate, repeating design. Barrel: can be either Spanish or Double Roman tiles. Slate 6: unique stone tile roof with an interlocking design. Plain: flat tiles that can be installed flush or interlocking. Pantiles: any kind of curving tile, may have varying heights of profile. Roman: may have a single or double curve, similar in style to the Spanish or S tile. What material is currently on the roof and being removed. What condition the roof deck is in. Whether the deck needs to be reinforced to support the weight of the tiles. The material the tile is made of (synthetic versus concrete, etc.). The style of the tile (interlocking versus S). Edges, roof lines, and intrusions in the roof (skylights, chimneys, stack lines, etc.). Therefore, every tile roof installation may differ slightly to give you a very unique roof. There are some things in common, however, that nearly every roof installation will include an inspection of the roof deck, as well as removal of the current material. If the deck requires reinforcement or repair, it will be done at this time, before the installation of the felt underlayment 3, which will protect the roof deck from moisture and give a surface for the tiles to be installed on. The intrusions are now flashed and sealed, then the tiles are installed on the roof, followed by the edge and ridge caps. 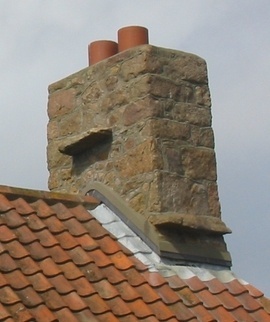 Ridge tiles where two sides meet. Appex tiles where three sides come to a point, such as a hipped roof. End caps 7 or hip ends where the ridges finish. Verge tiles to protect the roof beams on the underside of the roof edge. These items are usually included in the labor cost totals. In addition, vents and other openings will need covers, cowls, or caps to protect them. Each of these things will be unique to the style and material of tile you have chosen for your roof, and will require different installation practices for each. Installation costs are largely dependant on the condition of your deck, and shape and style of the tile you have chosen, and how large your roof is. Costs for a 1,500 sq.ft. roof will run around $7,000 to $10,000 for most tile applications. Some types of tile roofs will require sealing. 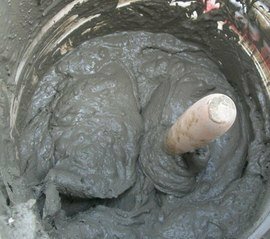 Concrete tile, in particular, will require a sealant, and some types of clay tile will as well. 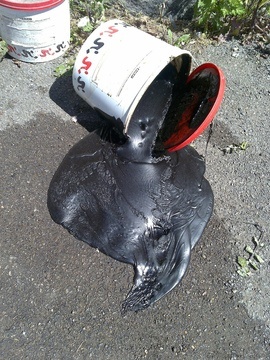 This is usually a liquid applied to the roof after installation and allowed to dry. Some tiles roofs will require resealing five to 10 years later; speak to the manufacturer of your particular tile to find out if this is necessary. 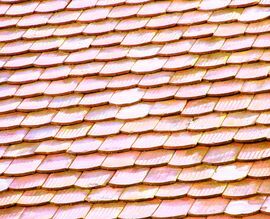 Roof tile sealants typically cost about $20 to $30. Tile is only one choice for roofing available today. There is a wide range of other products on the market that you may want to consider as well. Your roof may require pointing to seal in the ridge caps and make the roof watertight, as well as to adhere them better to the roof. 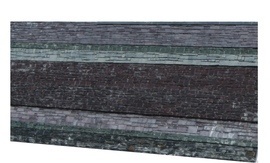 This is the process of troweling on a material over the ridge caps to create a flexible skin. This will need to be redone periodically, and costs around $1,500 to $2,500. Solar roof tiles that can work with a tile roof are available, often alternating materials across the pattern. Costs are around $2,450 for 100 square feet. If you desire a specific color, pattern, or size of roof tile, it may be possible to have them custom made. This is usually done to match older roofs that need repair but could be done for an entire roof. Costs vary but will start around $300 a square. Unless the tiles have been treated, they may stain due to algae and moss growth; this may require periodic cleaning. Get a total quote in writing with a breakdown of what is included in the price. Keep in mind that a roofer may quote based on what they can see, but the cost may change once work begins if unforeseen damage or complications come to light. Porous tiles may grow mold if not sealed and treated. Tiles are impervious to most insect damage, however. Tile is heavy; if you are purchasing locally this may be delivered for free, but long-distance shipping can add up to $1,000 to your final bill. Get a shipping quote up front, particularly if you are in a rural area. Old roofing must be removed before a tile roof can be installed. Clearing the roof deck allows it to be repaired and reinforced if necessary. Take this time to consider adding insulation to improve your energy efficiency over time. Tiles themselves can last 50 years or more, but many underlayments 3 can only last about 10. This will mean hiring a contractor to remove the tile and underlayment 3, then replace everything. If this is not done, the tile could crack or leak over time. Always ask your contractor if they have any specialized training in the type of roof you are having installed, such as certification from the Tile Roofing Institute or similar agency. While not required by the state, having this certification indicates a professional that is likely an expert in their field. Ask about what warranty may be available for your roof; some tiles have a lifetime warranty while others have only 20 years. Always hire a fully licensed and insured roofing contractor to perform the installation. The cost to replace an existing tile roof will range from $20,000 to $30,000 depending on the tile, size, and condition of the current roof. How are roof tiles fixed? Roof tiles are usually replaced when they become damaged, however, some may be able to be pointed, or covered in a flexible mortar 8 to help temporarily repair them. How do you put shingles 1 on a roof? Roofing shingles 1 are installed over a felt underlayment 3 and sound, plywood 4 roof deck. They are installed from the top down, with the lower layers overlapping those above. Each layer is nailed into place before the next is set. What are terracotta roof tiles made of? Traditional terracotta tiles are made of monocottura clay, or a single fired red clay. A concrete tile roof will cost around $20,000 for 1,500 square feet. How long does a tile roof last in Florida? 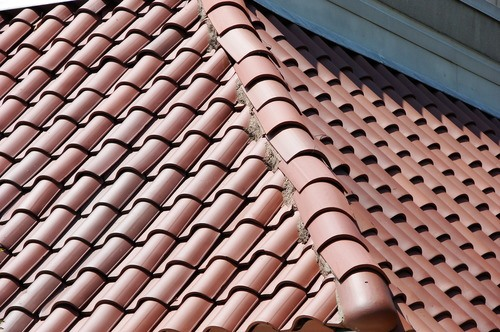 A tile roof that is properly sealed and cared for will last 50 years or more in Florida. Are tile roofs better than shingles 1? Tile roofs will last significantly longer than an asphalt shingle roof, but are more expensive, harder to install, and may require more maintenance. How much does it cost to install a roof? Roofs can cost between $6,000 and $50,000 to install depending on the material. Asphalt shingles are the least expensive, while slate 6 tiles cost the most. How much does it cost to have tile roof installed in my city? Cost to have tile roof installed varies greatly by region (and even by zip code). To get free estimates from local contractors, please indicate yours. The sections "Prep work and installation considerations," "Weather," "Types," "Style," "Labor," "Sealing," and "Tile vs other roofing materials" have been added and there is now more detailed information about the various options, possibilities, and price ranges for this project. For example, you can find information about the steps necessary before installing tile roofing, the optimal roof conditions to do this type of installation, why sealing is needed, and how the installation process of this type of roofing differs from other types. You can also find new tables comparing the pros and cons of tile roofing versus other types of roofing available and summarizing the different materials and styles available. Moreover, new options have been added under enhancements, such as installing solar roof tiles, pointing, or getting custom tiles that may not be included in the average project. The "Additional considerations" section now offers information about extra costs for shipping, possible mold and moss growth, lifespan, and advice on doing tile roofing as a DIY project. 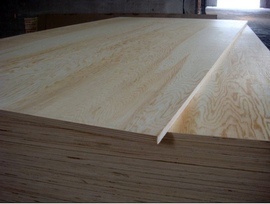 A separate piece of finished material that covers the unfinished edges of a countertop. Cost Considerations: Installing an end cap costs $150 to $200.